One of the main benefits of IBM Notes is the ability to access applications when you’re offline. There is a built-in replication functionality that takes care about data synchronization between clients and servers. I’ve always liked that capability since even today, for various reasons, people are not always online. Yesterday I played with a very similar feature – data synchronization and offline iOS apps with IBM Bluemix. Very powerful. 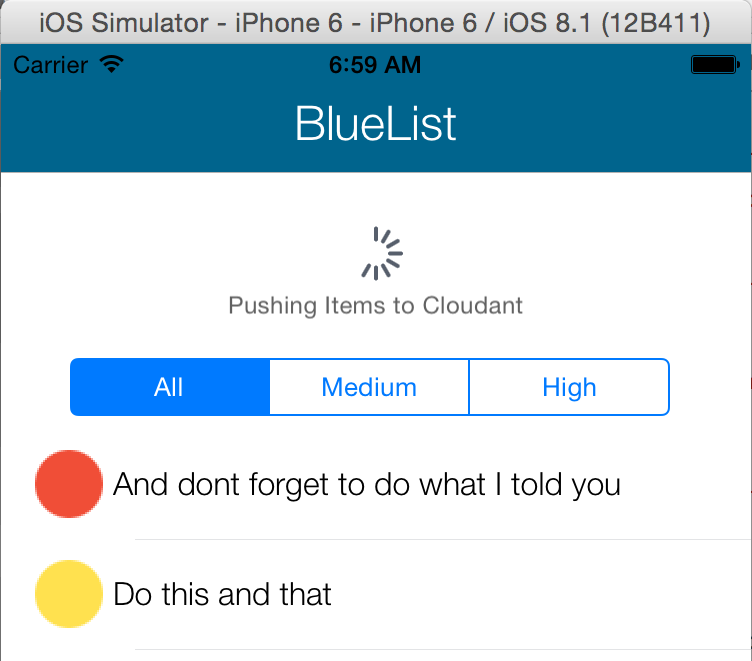 In order to try it yourself follow the instructions on the IBM MobileFirst Platform for iOS Bluelist Sample App landing page. You can find the replication code in ListTableViewController.swift. If you want to find out more attend the webinar today (January 14, 2015 | 11:00 a.m. Eastern / 8:00 a.m. Pacific) – How To: Developing iOS Apps on Bluemix using IBM MobileFirst Platform for iOS.